Who will win the WWE Royal Rumble 2019? Who will win the Wrestlemania main event slot at the Rumble? Battle royals are nothing new in the world of sports entertainment. Whether they are called the Bunkhouse Stampede, World War 3. or the Royal Rumble, all of the matches involve dozens of wrestlers in the ring at once, all attempting to throw each other over the ropes in order to eliminate them. The WWE's version, the Royal Rumble, had its roots as a free event on the USA network. None other than the legendary Hacksaw Jim Duggan won the inaugural Rumble, outlasting nineteen other stars, including Bret Hart and the Ultimate Warrior. Over time, the event became its own Pay Per View, and in 1993 the winner could claim the ultimate prize: a championship match at the main event of Wrestlemania. Now with the stakes higher than ever, WWE prepares to present its annual Royal Rumble event. Who could win it all and be the next big thing for the coming year? Here are ten candidates and their likely chances of winning the Royal Rumble. The Monster Among Men has certainly come a long way from his days of jumping around in faux raver gear as one of Adam Rose's Rosebuds. From acting as a mute, unnamed entourage to being in the main event of PPVs like Crown Jewel is certainly a vast improvement for Braun Strowman. He had one of the better Wrestlemania moments--albeit controversially--when he picked a young boy from the crowd to be his tag team partner, and wound up winning the titles. But will the Monster among Men win the Rumble? 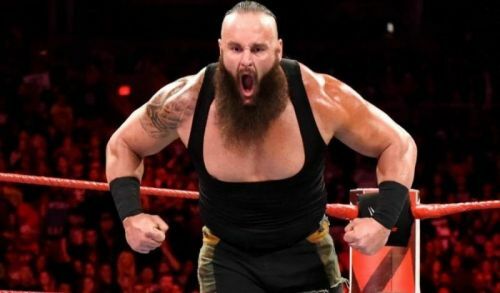 Braun has repeatedly come against the upper tier main eventers like Brock Lesnar and Roman Reigns and come up short. His size both helps and hinders him in the rumble: he's hard to lift up over the top rope, but his height means he can be unbalanced over the top more easily. 4 Superstars who might leave WWE, and 4 who won't.